SOE conference offers an in-depth look into the future of sustainable mobility. The panel from left: UNDP Project Manager Lea Abou Jaoude, FEV Executive VP Nadim Andraos, Dr. Mansour, and Dr. Haddad. Dr. Ghajar shared his conviction that e-mobility and smart transportation will have a much larger impact on developing countries like ours. 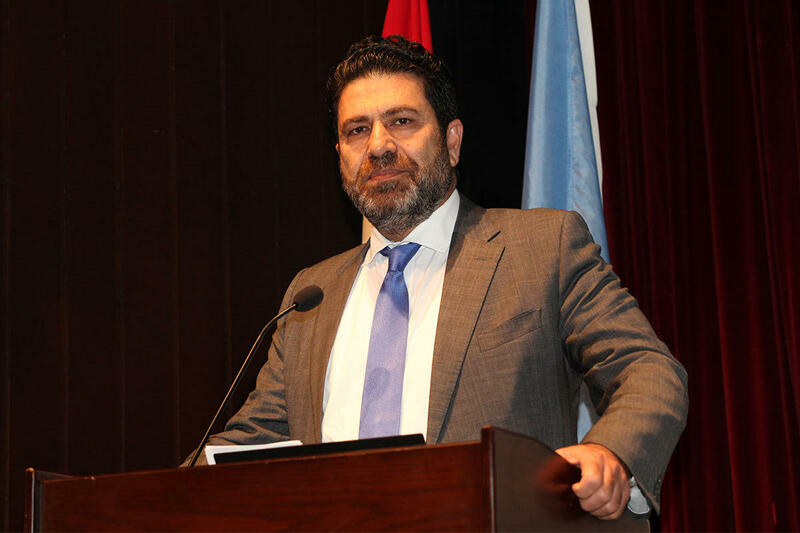 Minister of Environment Fady Jreissati said that the decision-making dilemma of paying less or protecting the environment has been rendered obsolete, in light of the reduced taxes. For UNDP Resident Representative Celine Moyroud, an efficient transport system and e-mobility are key pillars to sustainable development. The School of Engineering (SOE) had a busy year so far exploring, testing and driving a shift in mindsets – and in reality – of what the future of sustainable mobility will entail. 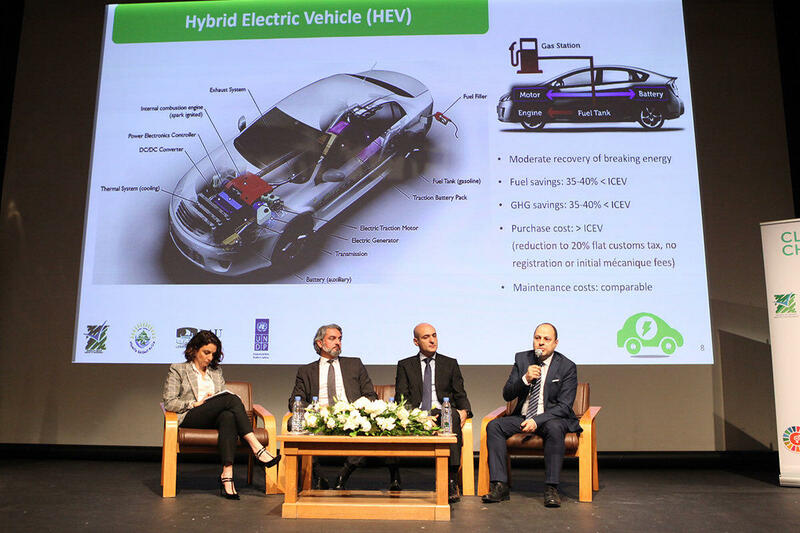 On March 29, the school hosted a conference titled The Road to Sustainable Mobility 2019: E-Drive to the Future at Irwin Hall on Beirut campus. 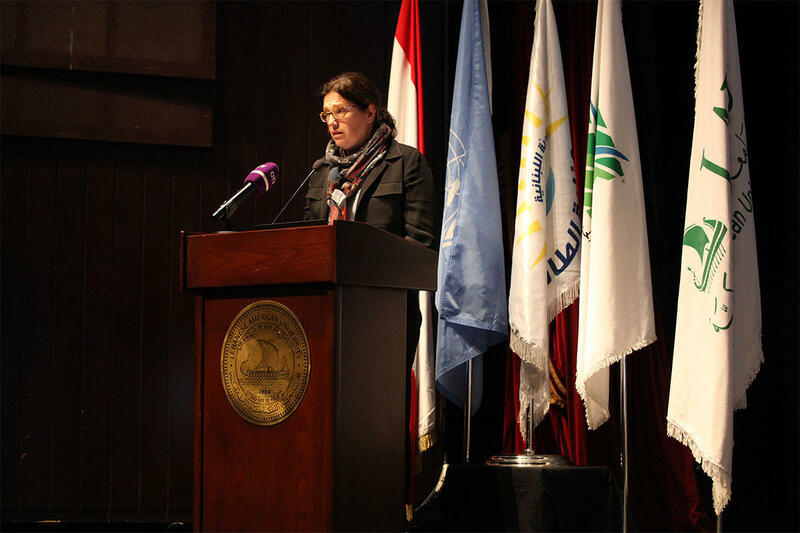 The event was organized in collaboration with the Ministry of Environment, the Ministry of Energy and Water and the United Nations Development Programme (UNDP). The conference kicked off with the first panel focused on demystifying the technology involved in e-mobility, in terms of vehicles and batteries. As part of the panel, Nadim Andraos, executive vice president of FEV– an independent engineering company based in Germany with offices in a number of countries around the world – gave a presentation on global shifts and forecasts per market. LAU’s own Assistant Professors of Industrial and Mechanical Engineering Marc Haddad and Charbel Mansour, who had co-authored two UNDP-sponsored studies on the topic, then gave a presentation on the difference in technology between the three types of electrified vehicles, as well as on the results of the first-ever road tests that were conducted in Lebanon by SOE. Video covering the road tests, produced by SOE student Joe Khoury. According to Dr. Mansour, paying for fuel to power conventional cars is inherently inefficient. “Only 10 to 25 percent of your money is actually providing a return on investment, when you pay for fuel,” he explained, saying that the only path to optimizing energy efficiency is by electrification. He explained how geography and weather conditions are two factors that affect energy saving when it comes to e-mobility, revealing that – thanks to the road tests – data is now available for the three types of typical Lebanese terrains: urban, highway and mountainous. Across all three, it turns out that fuel and cost savings ranged from 25 to 78 percent, depending on the type of electrified vehicle and the terrain. 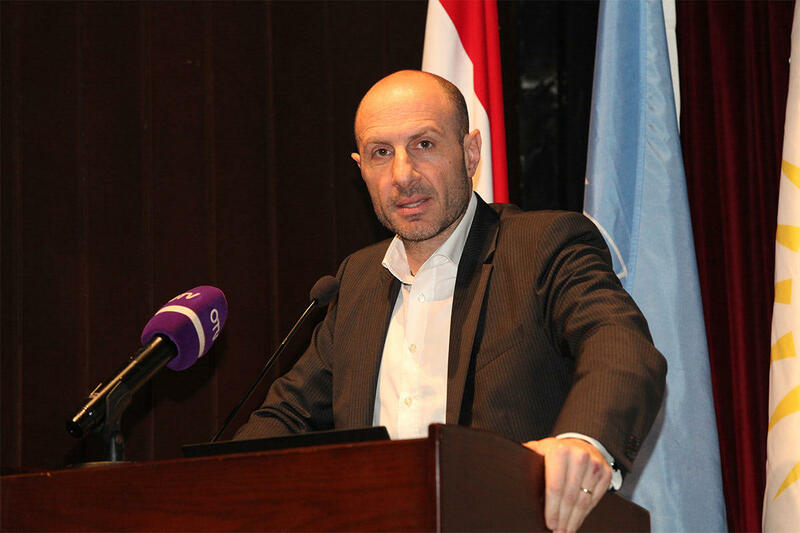 “There is no reason why we should not have hybrid vehicles in the Lebanese market today, and start planning for the needed infrastructure for rechargeable vehicles, while cleaning our energy mix,” concluded Dr. Haddad, as well as providing governmental incentives, such as reducing customs tax further for hybrids and preparing for the use of fully electrified vehicles in private and public transportation. Ultimately, he compared the imminence of the transition to cleaner fuels to the mass embrace of smart phones. Echoing this thought, Jreissati said that the decision-making dilemma of paying less or protecting the environment has been rendered obsolete, in light of the reduced taxes. “We are now committed to protecting the environment in Lebanon and there is no going back,” he declared. The conference also offered information on e-mobility from an infrastructural perspective, as well as the readiness and maturity of the market, all specific to the case of Lebanon. Speakers included professionals and experts from both the private and the public sectors. At the opening, a quote by pioneer Henry Ford was shared: “If I had asked people what they wanted, they would have said faster horses.” To that extent, the conference painted a clear picture of the radical change coming for the future of mobility.